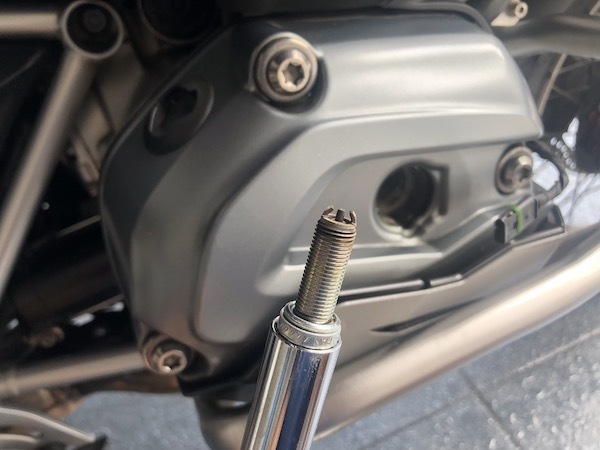 So it’s time for servicing on the BMW R1200GS wethead again. As I’m preparing for a major trip in December, thought it would be prudent to get this out of the way. This round, it’s air filter, spark plugs, and final drive gear oil on top of the usual engine oil replacement. 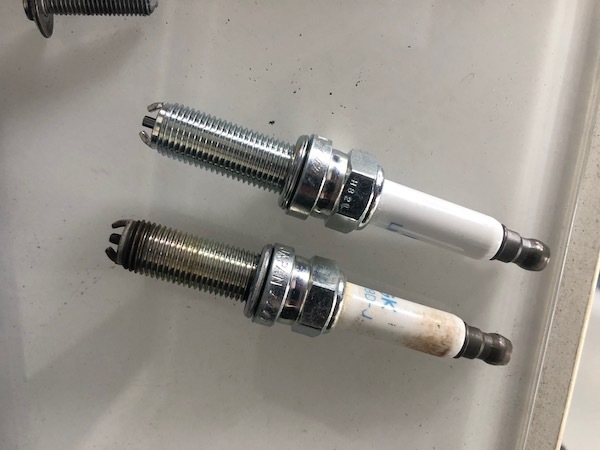 Removing the ignition coil to access the spark plug. 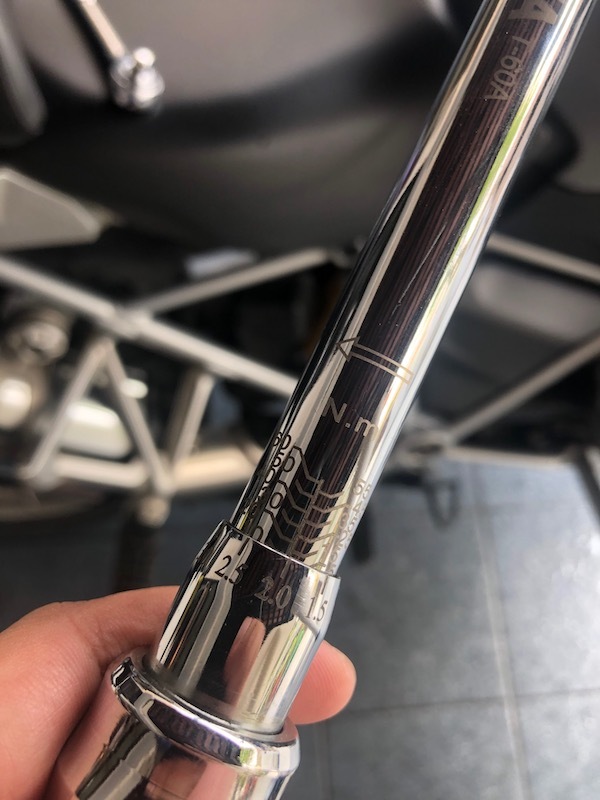 Spark plug at approximately 20,000km. 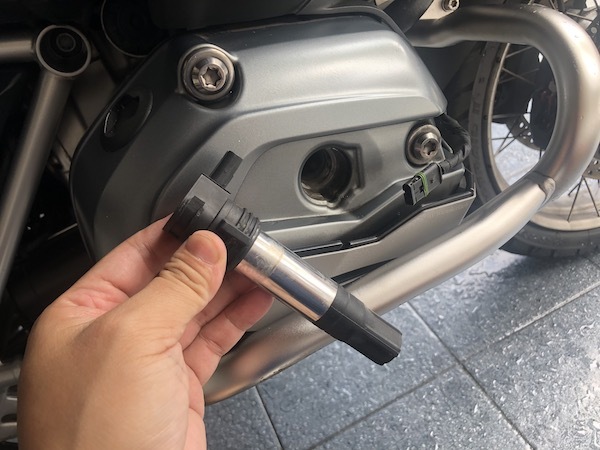 Tightening up the plug to 12 Nm of torque. 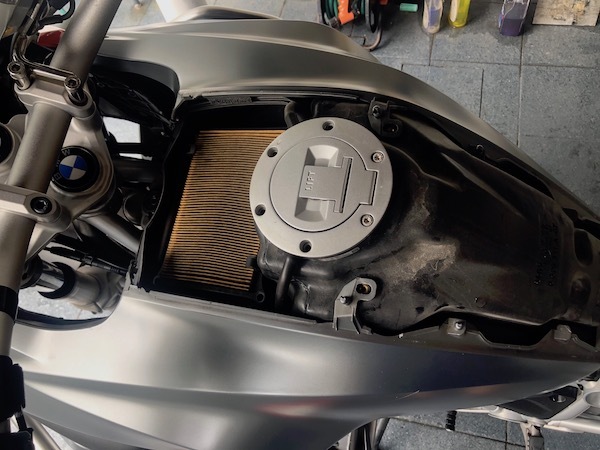 Access to air filter on the BMW R1200GS LC. 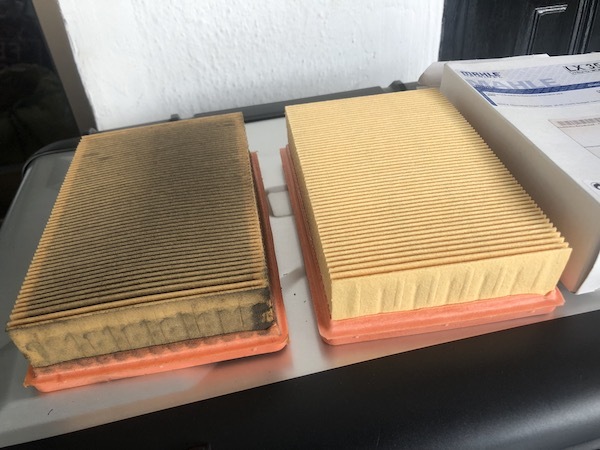 Old air filter vs new. 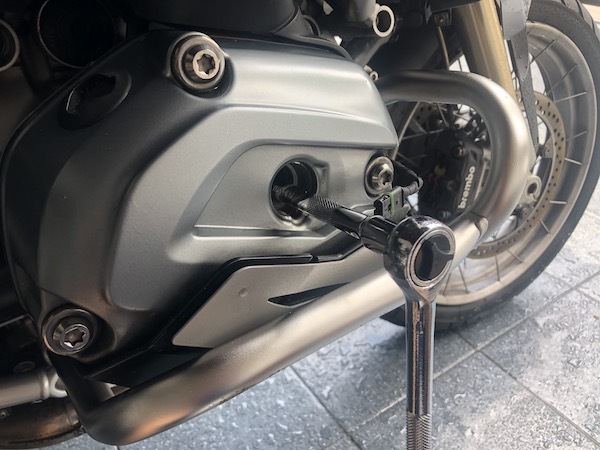 I’m surprised by how clean the air box on the filtered side was! 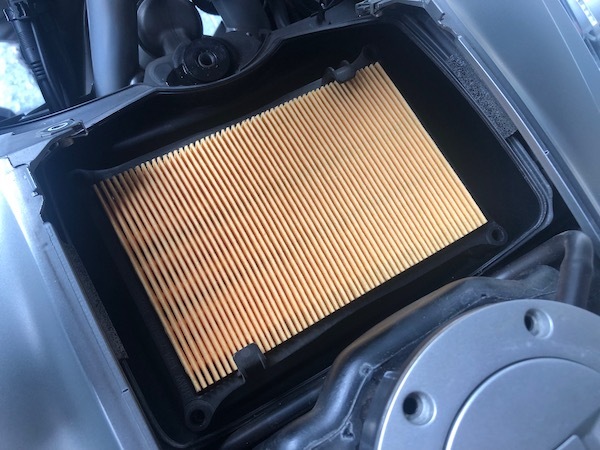 Brand new air filter in place. Now to get the old oil out. 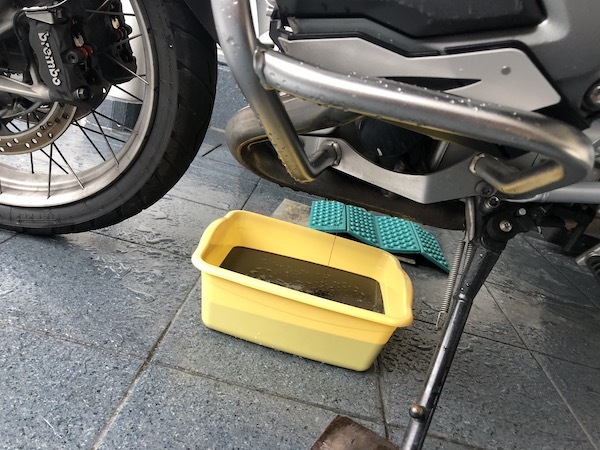 Was previously on Mobil Extra 4T semi-synthetic oil. 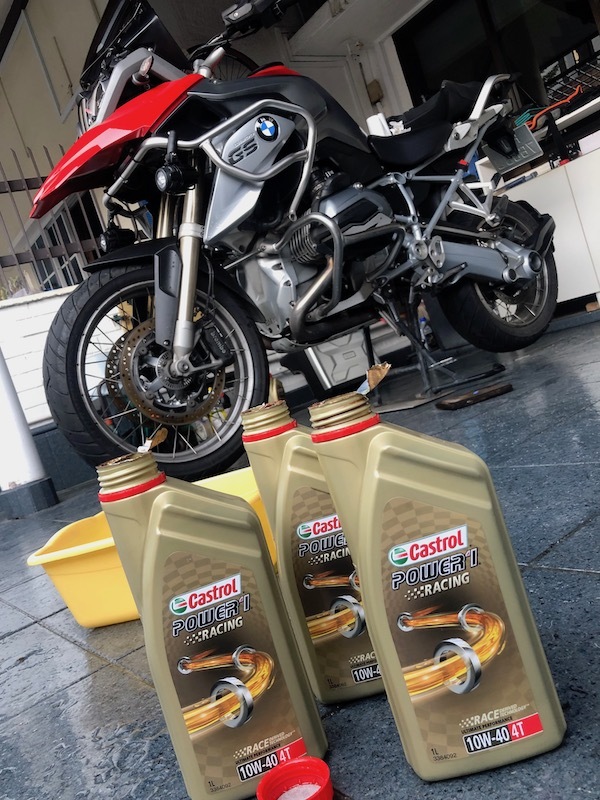 Fresh oil – Castrol Power 1 Racing 10W40 fully synthetic oil. 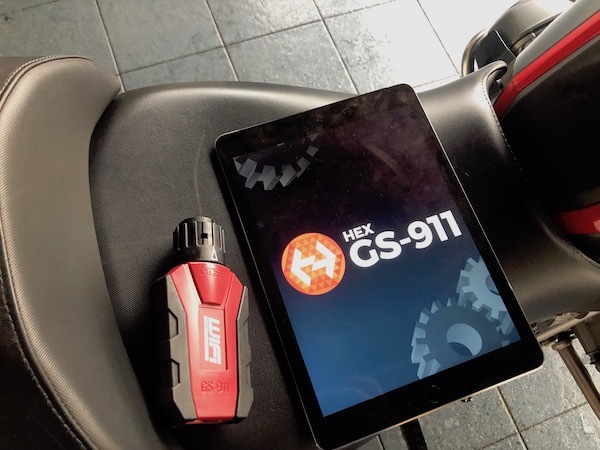 And of course, resetting the service reminder with the GS-911WiFi.